The measuring of skin resistance is based on the knowledge of the psychogalvanic reflex. The psychogalvanic reflex is a change of the electric attributes of the body (particularly of its skin), caused by an external stimulus, which triggers an emotional reaction (fear, stress etc.). This reaction manifests itself as an increase of electric conductivity (decrease of resistance) of skin on palms and feet. The response is not immediate, it begins approximately 2 seconds after the stimulus, reaches it’s maximum in 2 to 10 seconds and then subsides in about the same time. The reflex is controlled by the sympathetic part of the autonomic nervous system. 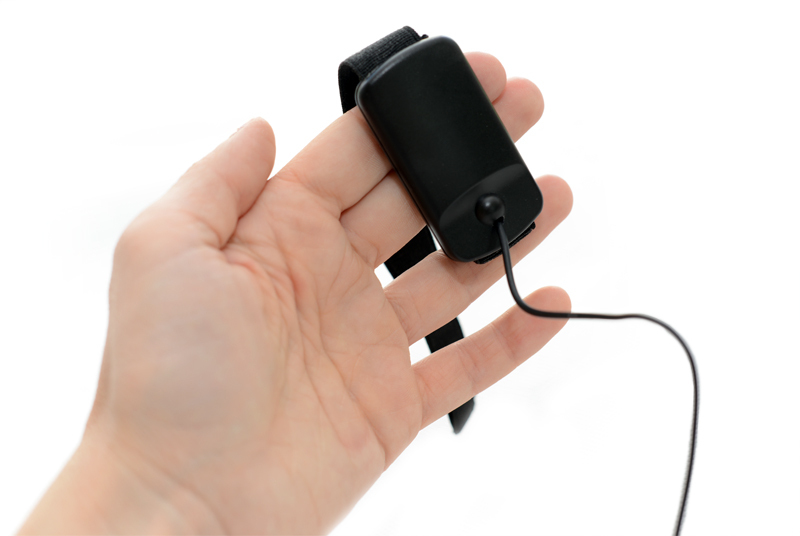 The changes skin conductivity are registered by a sensor placed on the palm. The readings are then displayed in a graph. When the graph stabilizes in a straight horizontal line, the user is perfectly relaxed. In the beginning, most users have trouble getting relaxed sooner than in 10 minutes, but in time, they get significantly better and are also able to better identify the state of relaxation. Some users are able to reach a relaxed state in 2 to 3 minutes after only a month of training. You can buy the device here.For more information, see our support page, or the page about the related software.